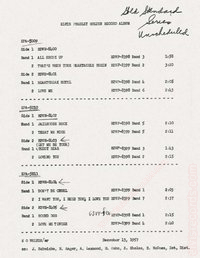 Cover: Does not exist. 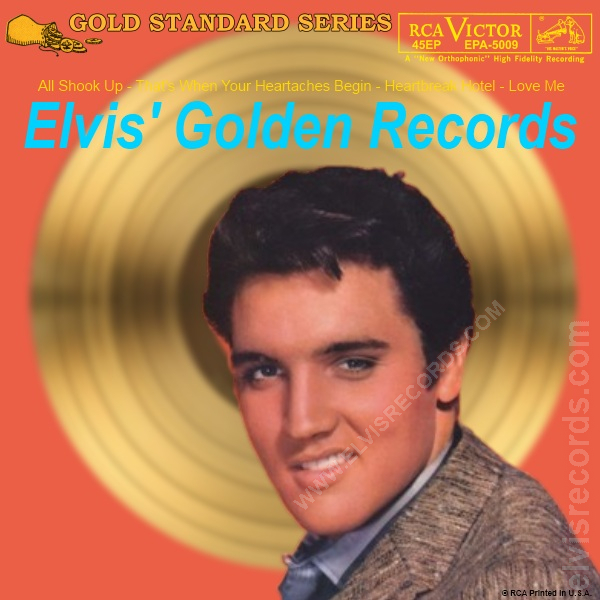 This is my interpretation of what the picture sleeve could be based on the three Gold Standard Series releases EPA-5029, EPA-5030, and EPA-5012 of the same title Como's Golden Records. 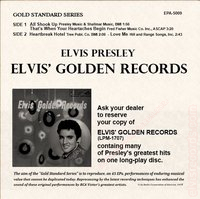 All three Elvis releases would have likely been the same as Elvis' Golden Records. 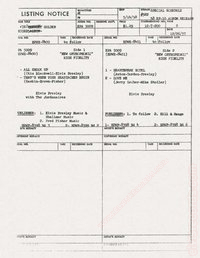 No known record slic exists. 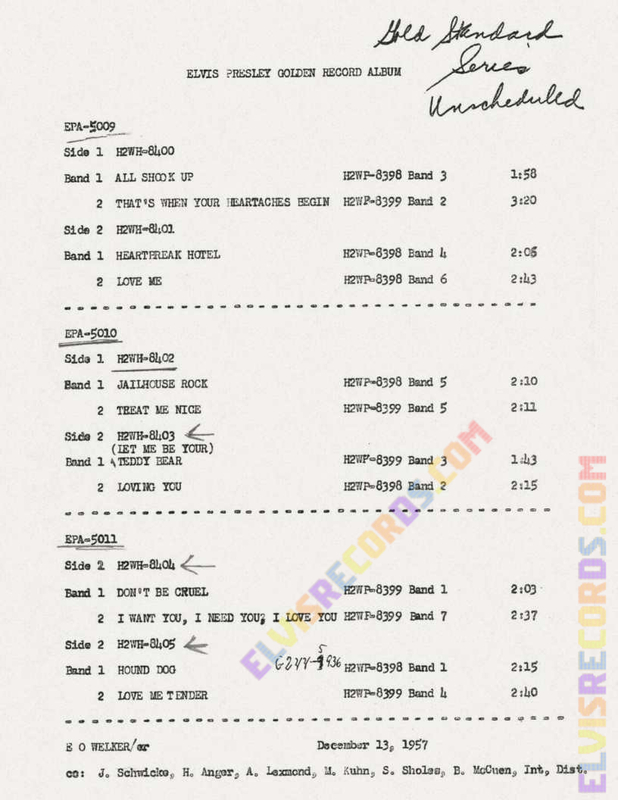 This release originally titled Elvis Presley Golden Record Album and two others where slated to ship May 14, 1958. 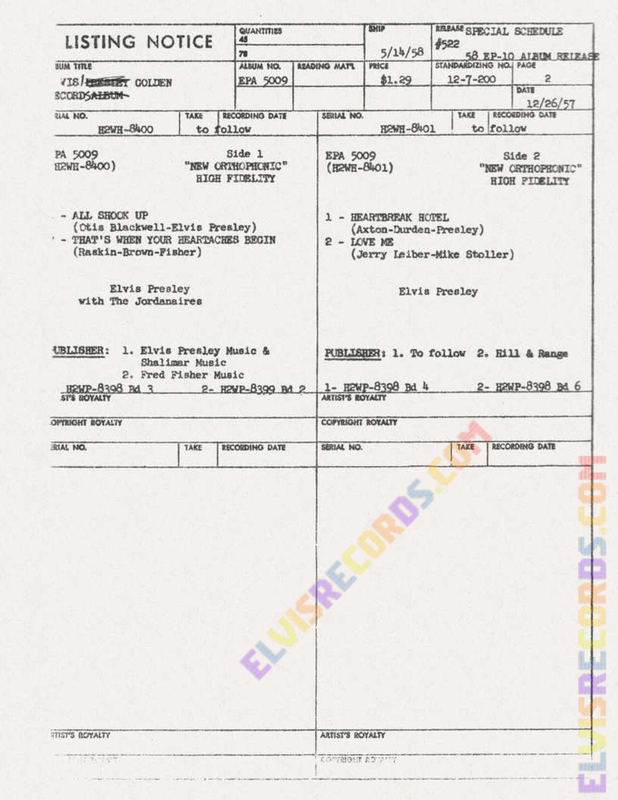 This is based on the RCA Listing Notice. 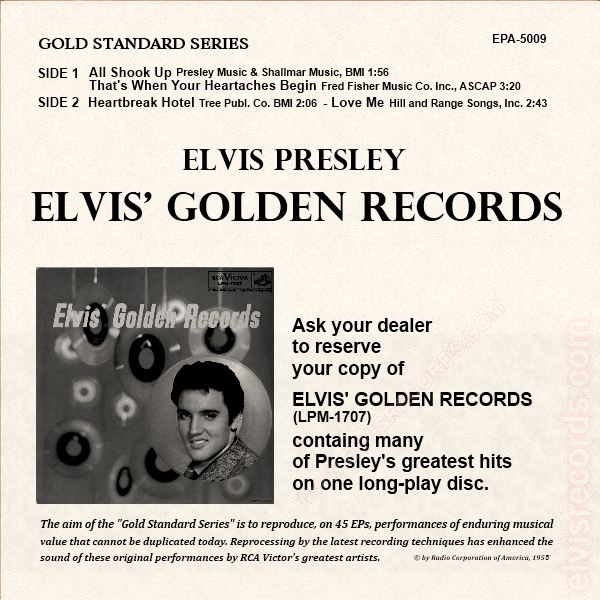 One reason or another, these releases were never produced and the catalog numbers reassigned.